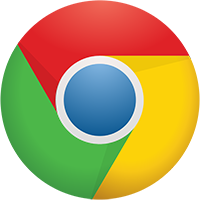 A look at global browser market share data will show that Google’s Chrome browser commands more than half of the browser market (58.4% for January 2017, to be specific). The market share might be even higher among librarians (who have a choice at work). If you’re not a Google Chrome user, these six browser extensions might make you switch. If you’ve never considered browser extensions, they are plugins or small applications that add functionality to your browser. Sometimes they work in the background (like Grammarly, below) but usually they work when you click on a small icon that gets added to the browser’s toolbar. Google has a huge Chrome Web Store for browser extensions, most of them are free. They offer help to install and manage extensions but for the most part, a single click will install an extension. Sometimes additional configuration options are available. Here are six Chrome browser extensions every librarian needs.